I always love finding a bargain, so when I saw that Village Hotels had a sale on in January, I wanted to bag a deal. 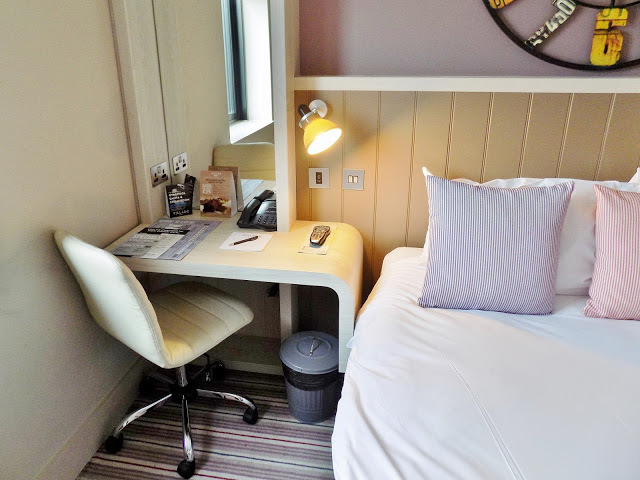 I managed to grab 3 nights at their Edinburgh hotel for only £25 per night, which is an amazing price! 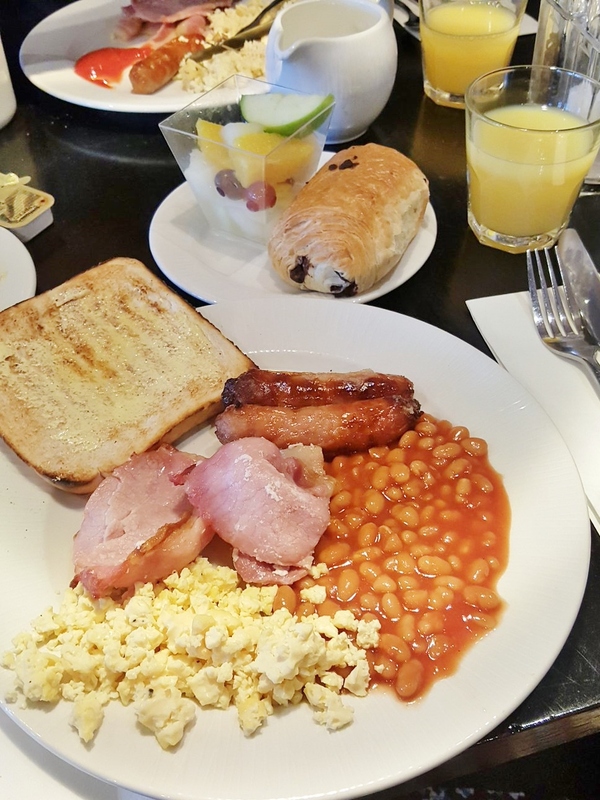 I paid an additional £5 per night for breakfast which was very worthwhile as it was the perfect way to set ourselves up in the morning and great value for money. I’d been wanting to visit Edinburgh for a little while as so many people have recommended it to me. 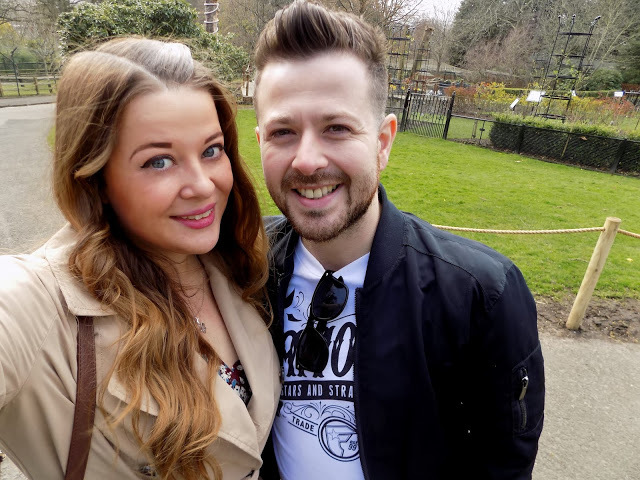 I was desperate to go to the zoo to see the panda’s, and I had never been to Scotland before! I ended up upgrading to the Club Room at the hotel for an additional £24 in total for the 3 nights. This was so cheap because they emailed me the day before we were due to arrive to ask if we wanted to upgrade, and if so, we could ‘bid’ as to how much we wanted to pay for the upgrade. My offer of £24 was accepted so we ended up with an extra snazzy room for a great price! 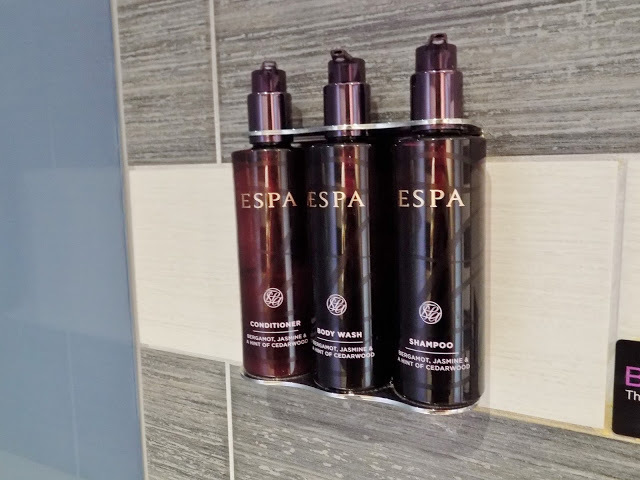 The room was nice and spacious and included free wi-fi, an extra comfy bed, large wall-mounted TV with full Sky HD, access to their gym and swimming pool, a Tassimo coffee machine, ESPA toiletries, and bottled water. I absolutely loved the hotel and the rooms and would definitely stay at a Village Hotel again. The whole place was really clean and modern and looked like new. 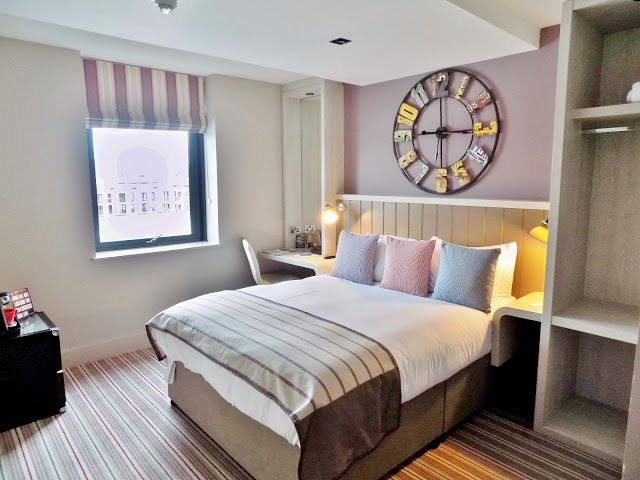 The housekeeping was brilliant, and they thoroughly cleaned our room each morning whilst we were out or downstairs for breakfast, which avoided the awkward ‘quick lets leave before the cleaner comes’ scenario! 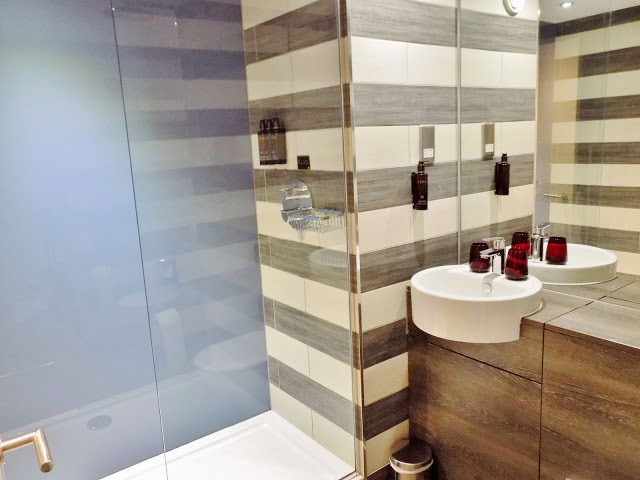 The facilities were great, as there was a Starbucks on site, as well as a spa, a grill restaurant, and a pub too which served a Sunday carvery! We had everything we needed at the hotel, and it was so nice to be able to come back in the afternoons and have a little drink at the bar. We did use the swimming pool one morning too after breakfast, and it was so nice and relaxing. We were also staying at the hotel at the same time as the Scotland Rugby Team, so there was lots of big burly men in the gym and walking around! 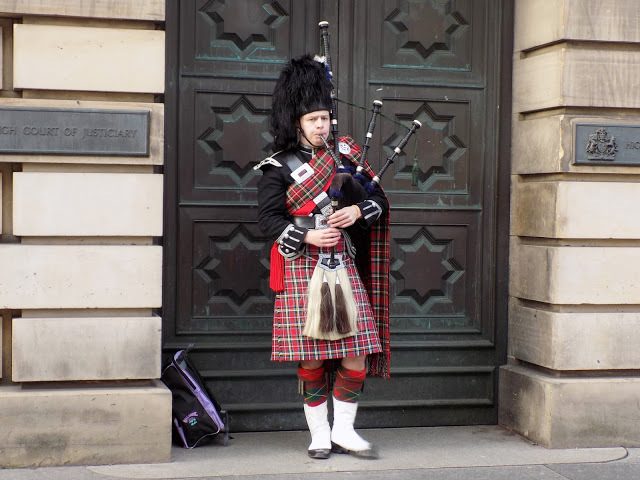 The hotel was located just outside of Edinburgh city centre, so it was too far for us to walk into town. There is a bus stop just outside the hotel which takes you into the city for only £1.60, but we chose to get taxis into town. This doesn’t sound very money saving, but I found a new app called Gett which is very similar to Uber, except it uses black cabs which run on the meter. I found an offer which meant that I got £5 off my first 10 rides with Gett, so it turned out we paid only £4 each way in the comfort of a private car with very helpful drivers! If you want to get £5 off your first 10 rides, download the app and use my code GTDERHQ! Getting to and from the airport was easy too, as you can catch the bus or tram from the city centre for about £5, or an Uber cost us £18. 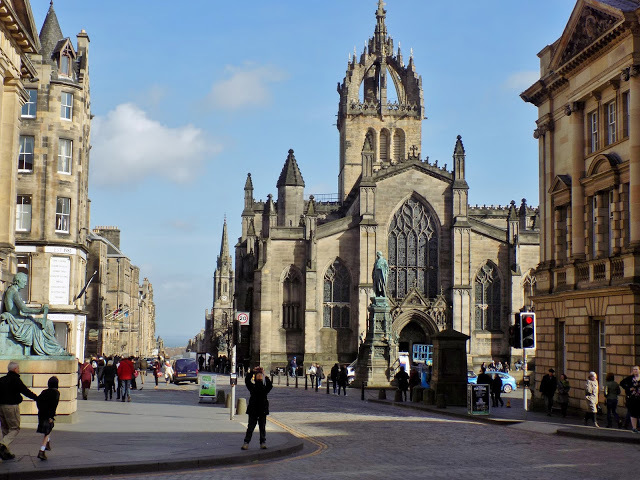 I also managed to find flights from Luton Airport to Edinburgh for only £30 each return, which worked out much cheaper than driving or getting the train. I booked our trip for mid-March which ended up being perfect because we were so lucky with the weather, with blue skies everyday. Although it was still pretty chilly, I hadn’t quite anticipated that Scotland would be so much colder than southern England! 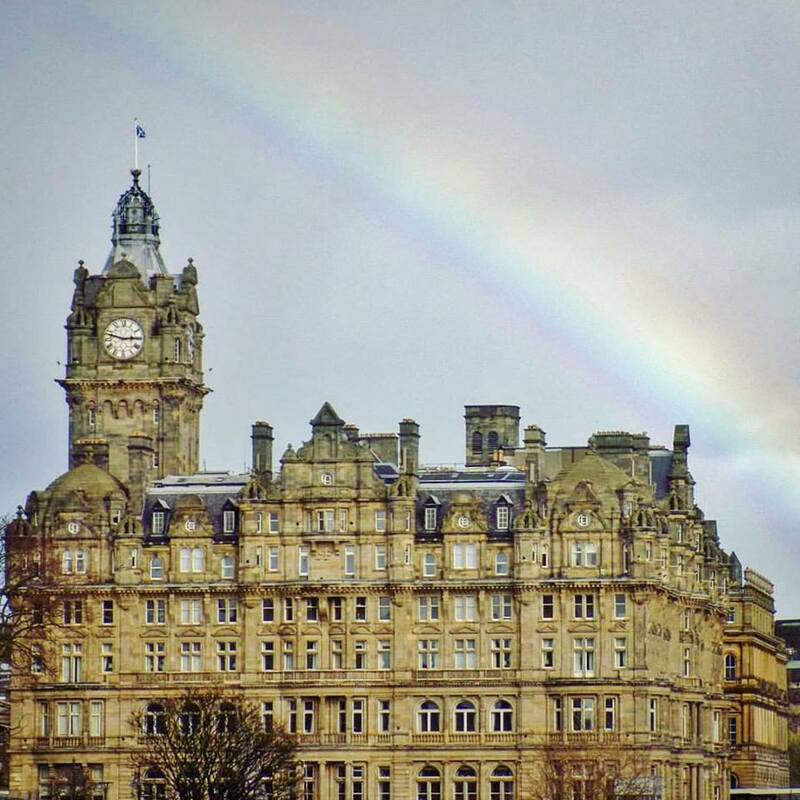 We found that four days/three nights was the perfect amount of time for us to spend in Edinburgh. 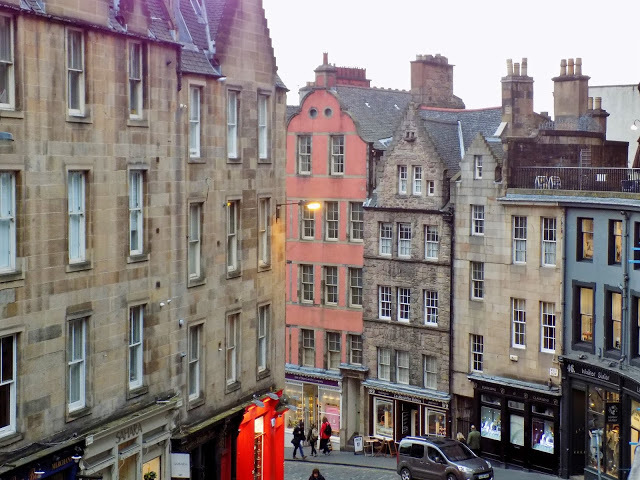 On our first night, once we had dropped out bags off at the hotel, we head down to the Royal Mile to find somewhere to eat. We arrived on a Sunday and I fancied a roast, and as it was getting dark and I was starving, we settled in at a little basement pub called The Amber Rose. After our dinner, we had tickets to go to The Stand comedy club to see Iain Stirling (the voice of love island!) which was something different and new, as I’d never been to a comedy club before! It was lots of fun and I really enjoyed it; thoroughly recommend! The next day was the day that I had been waiting for.. zoo day! 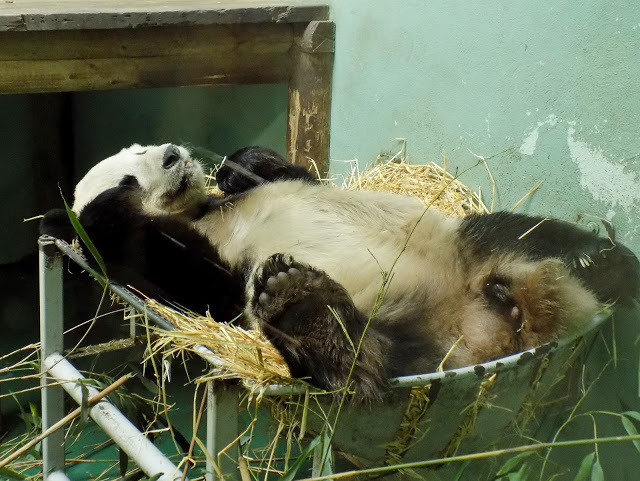 Edinburgh Zoo is home to the only giant pandas in the UK, Tian Tian (Sweetie) and Yang Guang (Sunshine). I didn’t realise before we got there, but you have to actually book your slot to see the panda exhibit the day before visiting. We had just turned up on the day not realising this, but luckily as it was a quiet day we managed to get a slot! The zoo was bigger that I expected and although a lot of the animals seemed to be hiding or sleeping, I couldn’t really blame them, as it was a chilly morning. We did get to see some amazing animals though, including koalas (which I had never seen before! ), tigers, (sleepy) lions, and chimpanzees. We did get to see the pandas, but unfortunately only one of them was on show, and the other was having a nice lie down! But it was still wonderful to see him having a nice snooze. On recommendation from one of the taxi drivers, we also paid a visit to The Real King Marys Close which is an attraction consisting of underground streets which have been buried for hundreds of years. This sounds a bit more interesting than it actually was. My attention span is short and it was basically walking around some dark rooms with old props with a man dressed up pretending to be from the olden days for an hour. I didn’t really get it, but maybe I’m not sophisticated enough. It was £15 each though, so only go if history and drama is your kind of thing! 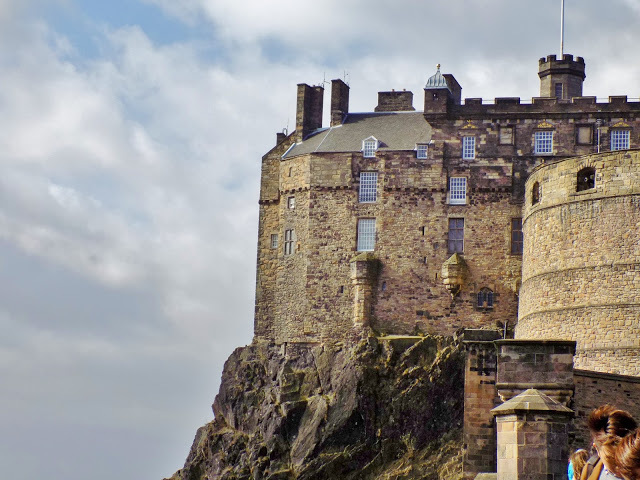 One our last day we visited Edinburgh Castle, as I guess you can’t really go to Edinburgh without seeing it! It was actually beautiful to see, and you get some great views from the top, but unfortunately it was a very cold and windy day which meant we walked around it pretty swiftly. We tried to fill up on breakfast at the hotel each day so that we didn’t need to spend too much on lunch and dinner, but we did discover a few nice places to eat. After reading a lot about Burgers & Beers online, I decided that this would be a must for us to visit. I did really enjoy my burger and cocktail, and the atmosphere was very nice, but I do feel like it was perhaps a little bit overpriced for what it is. 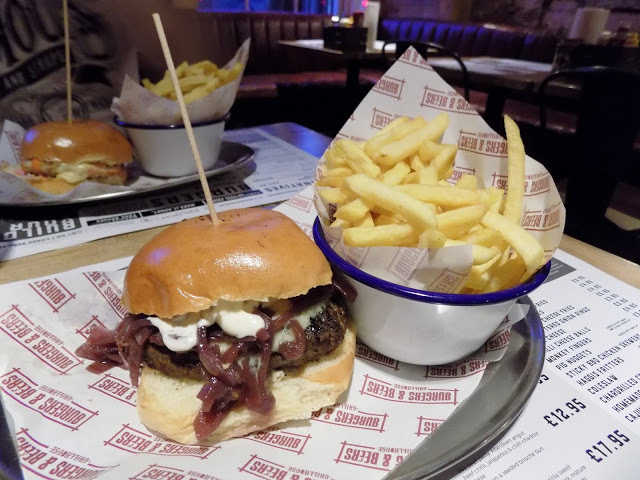 Their most basic burger is £11 and that doesn’t even include fries, which is an additional £4! 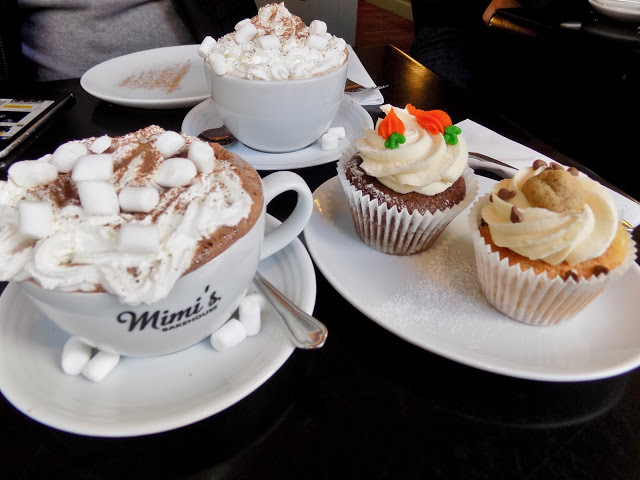 We also by chance stumbled across Mimi’s Bakehouse which I had read a lot about, so we popped in to warm up with a hot chocolate and a cupcake each. I had a carrot cake and Gavin picked a cookie dough flavour. We also both had luxury hot chocolates with cream and marshmallows in a nice big mug. Heaven! My cake was so so good, I wish I could have had another! Thoroughly recommend paying Mimi’s a visit if you’re nearby! 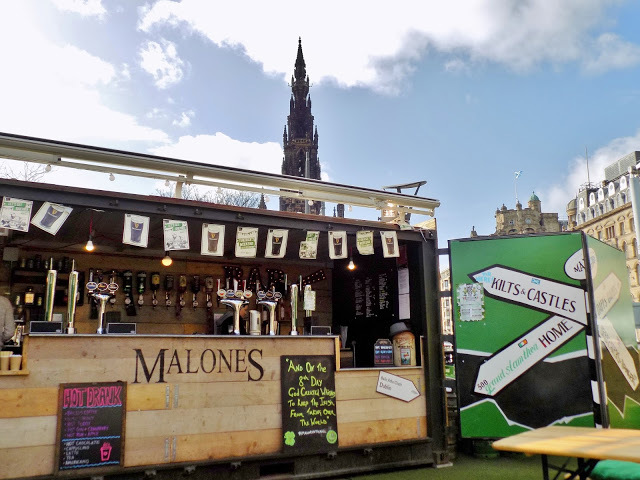 And finally, if you’re visiting Edinburgh on a dry day, then I really suggest that you stop by Malones Irish Bar which is right by the train station! I was really against going here because it’s outdoors and I was freezing, but Gavin really wanted to go so we stopped there for a drink one sunny afternoon. They had a live music act on who sounded like Ed Sheeran and his voice was so good I could have sat there and listened to him all day. And we weren’t even that cold, as there were plenty of heaters and even blankets available. It was actually a really cute little place with a pizza and hot dog van too, and I really would recommend stopping by for a drink. 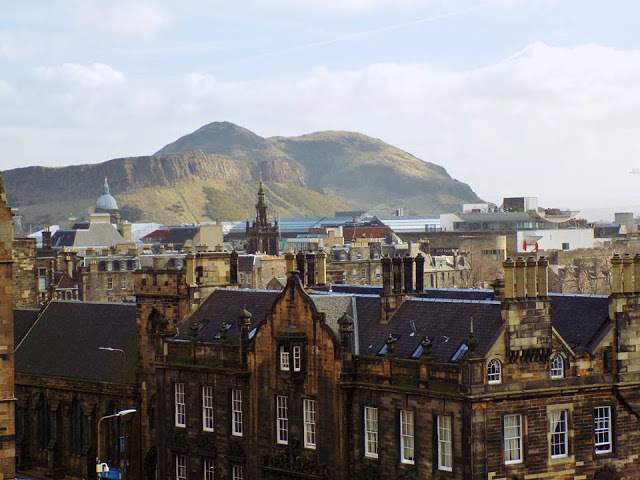 I hope you enjoyed my post on our mini break to Edinburgh! Please leave a comment with your favourite places to visit in the city. That room is amazing!! #goals (is it annoying when people hashtag silly words like goals? I have done it anyway) I need more hygge like that in my life! Very helpful post as you included everything anyone would need to know if they were planning a trip there. 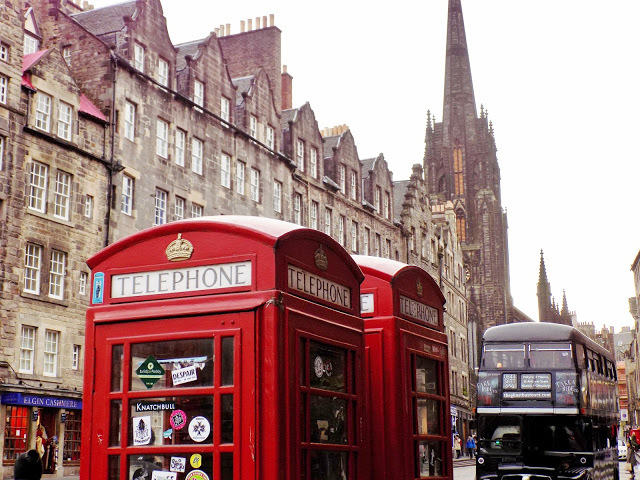 My entire trips to Scotland consist of a day trip to Edinburgh and that's it so nothing really. I can't believe the bargain you got on the hotel, although the whole bidding thing seems a little strange! Looks like you had a great time. I booked the same deal and really liked the hotel. I am Nikki Luthra and i’m looking for Travel site. I’m also looking for guest posts with backpacking and travel related Sites and blogs. I am a content writer and I love writing articles as a hobby on topics related to Travel.